Are you guys getting tired of me yet? Haha, hopefully not. I'm not sure if I have mentioned it before or not but I have been purposely trying to blog a lot more often then I used to. As of right now, you can expect new posts Monday through Friday. Weekends are usually for video games and live streaming on Twitch (Going to start some Sims 3 LPs). Don't know if that's something any of you are into but if so let me know down in the comments. For today I have a really interesting tool and cute rhinestones to show you guys all from Born Pretty Store. Every nail girl has an arsenal of tools at their disposal at any given moment but the most common is rhinestones. Along with these rhinestones, I'm going to show you guys something I didn't know existed till recently: wax sticks! If you've used any type of studs or stones in your nail art then you know what a struggle placement can be. I can't even begin to tell you how many times I have accidentally nipped off some polish while doing placement. This is definitely not a 'new' discovery since I had seen these wax sticks here and there. Honestly though I had never bothered trying to figure out what they were for until now. 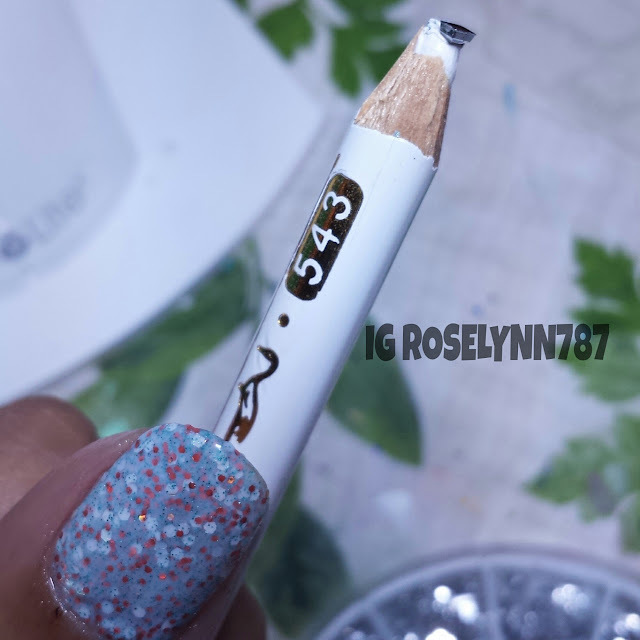 You can actually pick up and place rhinestones with these wax sticks! As you can see in the photos above, you use the wax tip to easily pick up stones or studs from nail wheels. This is much easier than me just poking my nail in there and hoping to pick out one. 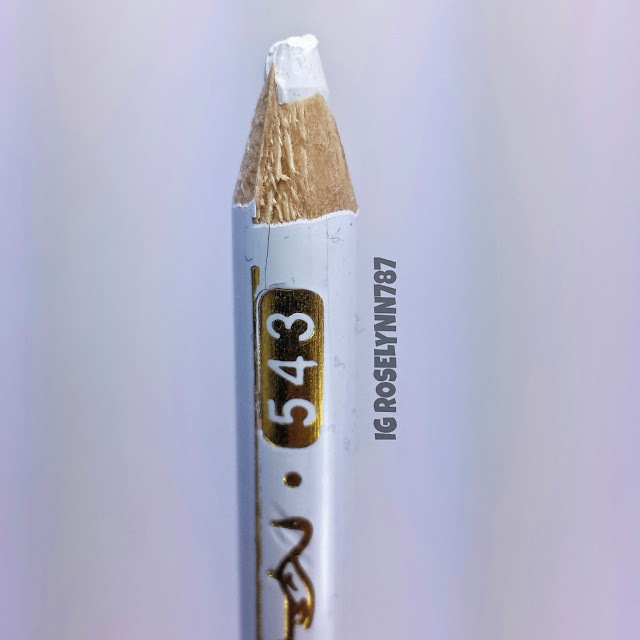 The wax tip does wear down after just a few uses and won't pick up the stones. All you have to do is just sharpen the tip with a regular pencil sharpener. I usually make sure I sharpen the time before each use. The next item really goes hand-in-hand... or should I say nail-on-nail? No? Okay lame jokes aside, I'm obviously talking about rhinestones here. 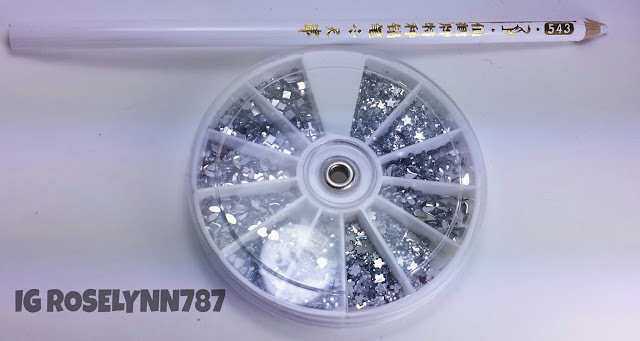 There are so many different types of rhinestones in this one wheel! There are diamonds, squares, hearts, flowers, stars, and circles. I absolutely love all kinds of rhinestones and studs. If you guys recall I made a post a few months ago showing you my intense drawer of supplies. But anyway, I love how small each one is. 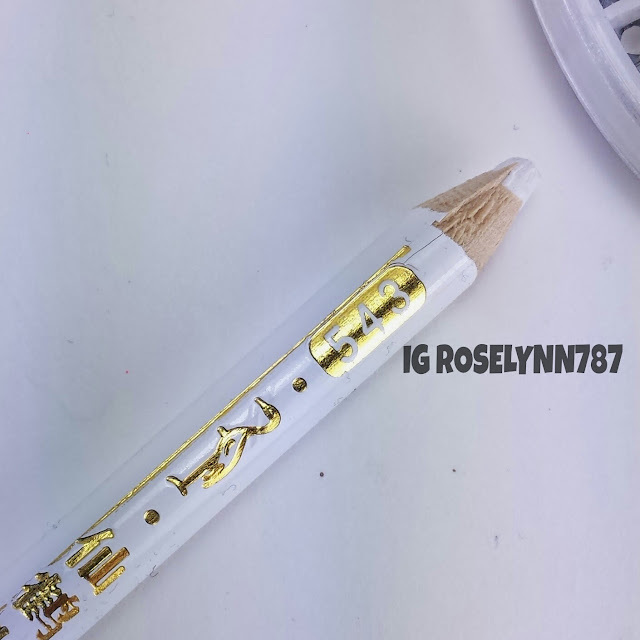 It's the perfect size for not over cluttering your nail. Also for ladies with smaller nails, this wheel works in your favor as well. I definitely plan on using these for many future nail designs. 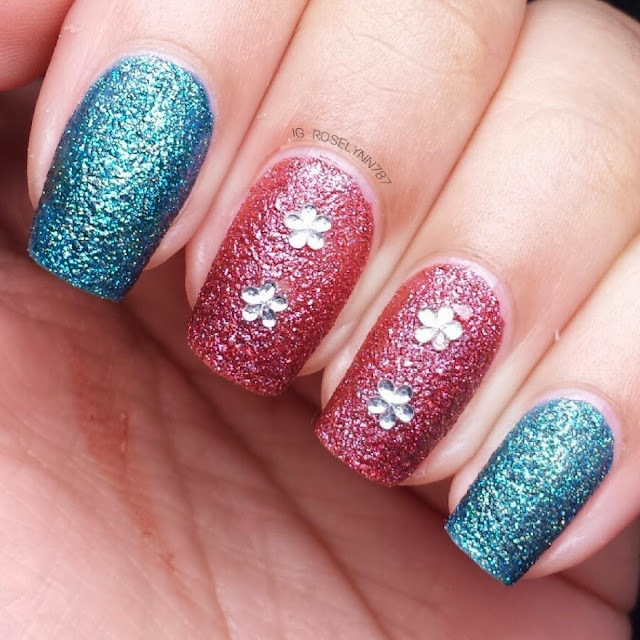 I also created this mani a few months ago, it's a simple textured look with rhinestones added to give it that extra bit of sass. The wax sticks shown in this post are only $1.59 and come in a set of two. You can find them at Born Pretty Store Item #3975. 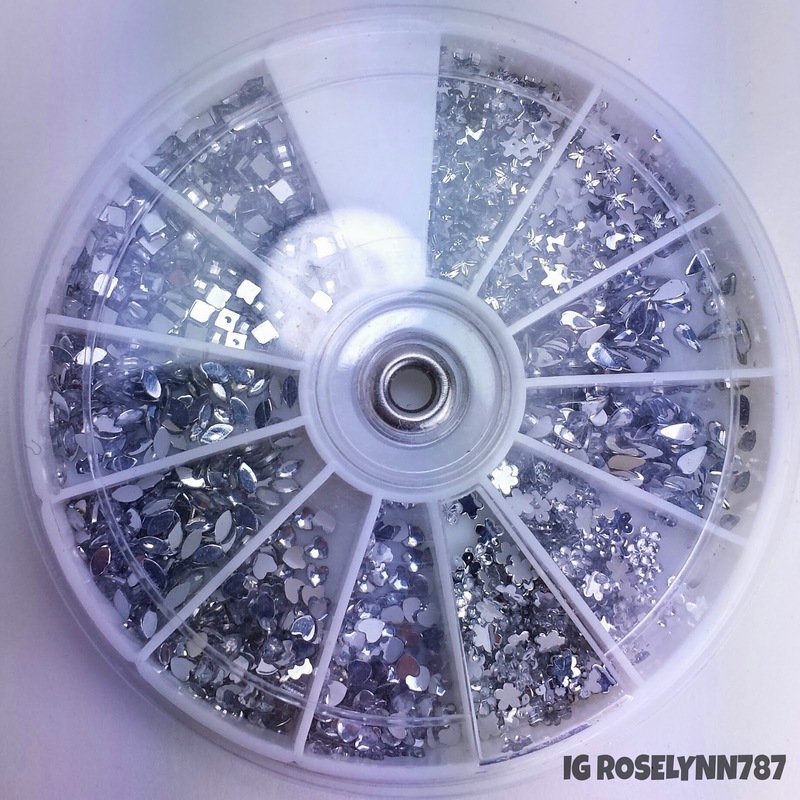 The rhinestone wheel shown here can be purchased for $3.46 also from Born Pretty Store Item #2576. If you use my code ROHG10 you'll receive 10% off your purchase and as always free shipping. Shipping will take 3-6 weeks, but patience my nail lovers it's totally worth it for the great deals you can get. ive also found that the pointy end of an orange stick works well... just wet the tip with your tongue, and use it to pick up your gem, and then if you dont like where you placed it/it isnt sticking right, use your flat end to push it into the polish! Thank you so much for the suggestion, I never would of thought to use an orange stick. I'm definitely going to give it a go and see how it compares. I used to use a toothpick but the rhinestone would fall off last second and I'd smear into my polish haha. Ugh I love your tips! I can almost do nail art now, haha! I'm so happy my tips are helping you out! I'd love to see something you come up with sometime :D Nail art is the first step into a life of polish addiction, haha.